RIJASOLO | BETIOKY - Mr Rakotoarivelo Hasindaza, 37, is the head of the "Betioky Sud" county. He has been based in Betioky since July 2015. He is from Ambalavao. A classical career, he studied law for 4 years and graduated from ENAM (Ecole Nationale d'Administration de Madagascar) in 2012. The county heads are assigned for 3 years to a post by decree from the Ministry of the Interior and are the direct representatives of the Malagasy State. 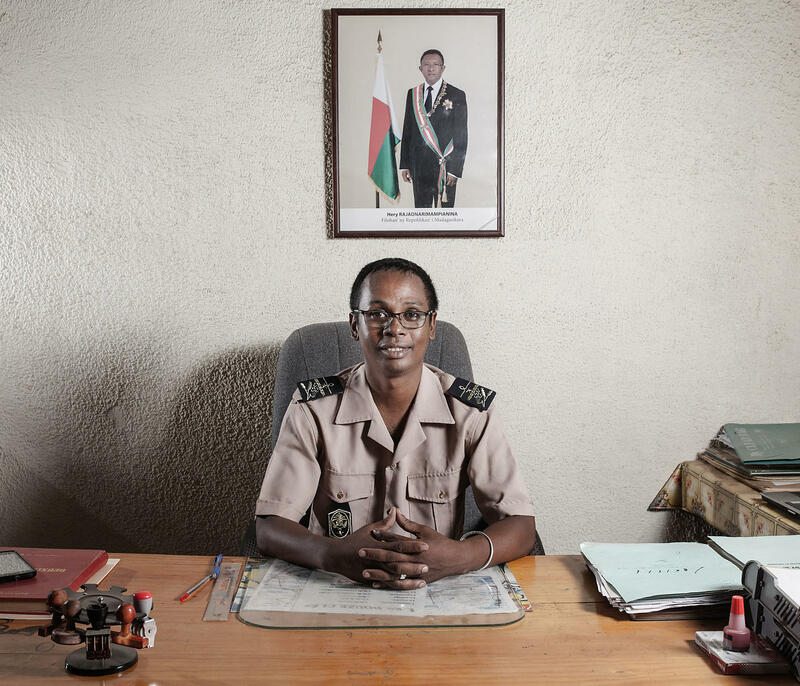 Before Betioky, he was head of Ampanihy county, and was reassigned to southern Madagascar for his experience in conflict management with the population and his knowledge of local traditions. He receives us in his large office. The official portrait of the President of the Republic on the walls. Today, he is dressed in his official uniform because he will receive a delegation of villagers who are in conflict with another village. He is the archetype of the perfect senior civil servant: impeccable French expression, young graduate, intransigent technician, devoted to his state mission, but also respectful of the traditions of the Mahafaly ethnic group. BETIOKY - Mr Rakotoarivelo Hasindaza, 37, is the head of the "Betioky Sud" county. He has been based in Betioky since July 2015. He is from Ambalavao. A classical career, he studied law for 4 years and graduated from ENAM (Ecole Nationale d'Administration de Madagascar) in 2012. The county heads are assigned for 3 years to a post by decree from the Ministry of the Interior and are the direct representatives of the Malagasy State. 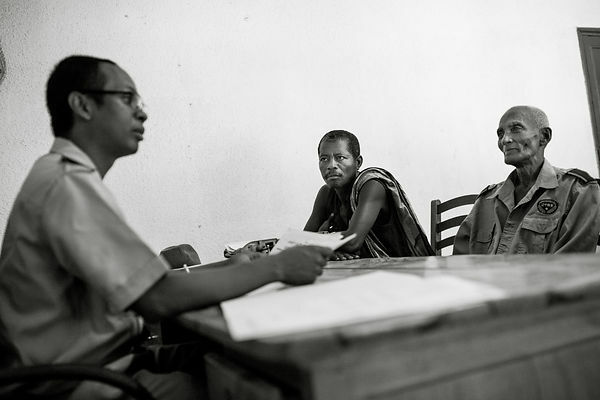 Before Betioky, he was head of Ampanihy county, and was reassigned to southern Madagascar for his experience in conflict management with the population and his knowledge of local traditions. He receives us in his large office. The official portrait of the President of the Republic on the walls. Today, he is dressed in his official uniform because he will receive a delegation of villagers who are in conflict with another village. He is the archetype of the perfect senior civil servant: impeccable French expression, young graduate, intransigent technician, devoted to his state mission, but also respectful of the traditions of the Mahafaly ethnic group.